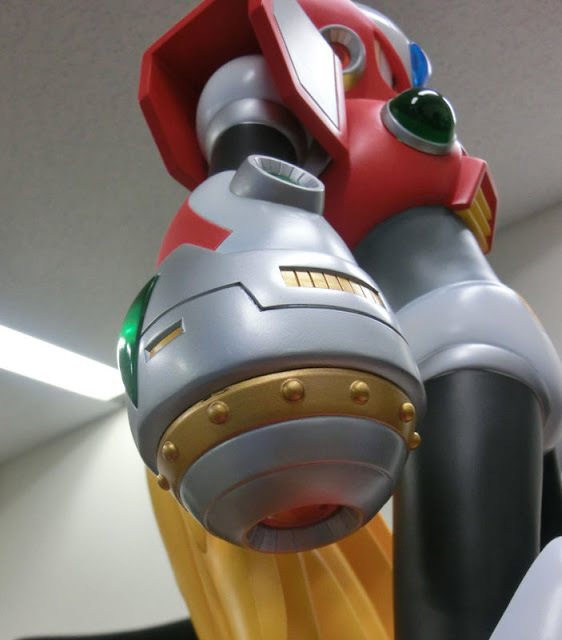 For the uninitated, Zero here is made of PVC plastic and stands at 1.5 feet tall (46cm). Pre-orders are up on Amiami and Big Bad Toystore. He looks awesome, but once again I'll still put it out there that I wish we got more figures based on Characters who haven't been done 1000 times before, I want to see some new figures based on Star Force, Battle Network, Legends, and ZX. Star Force 3 was practically begging for figurines(MMSF2 was as well but I'm being biased,) it's a shame it hasn't gotten them. Legends figures are way too rare I've only seen like 2 of them, that needs to change. Battle Network doesn't have any figures I'd consider decent except for a rare Roll.EXE that I'm sure not many people have seen, and ZX is a series that also screams figurines with all it's different biometal forms but unfortunately doesn't have anything, It's criminal if you ask me. 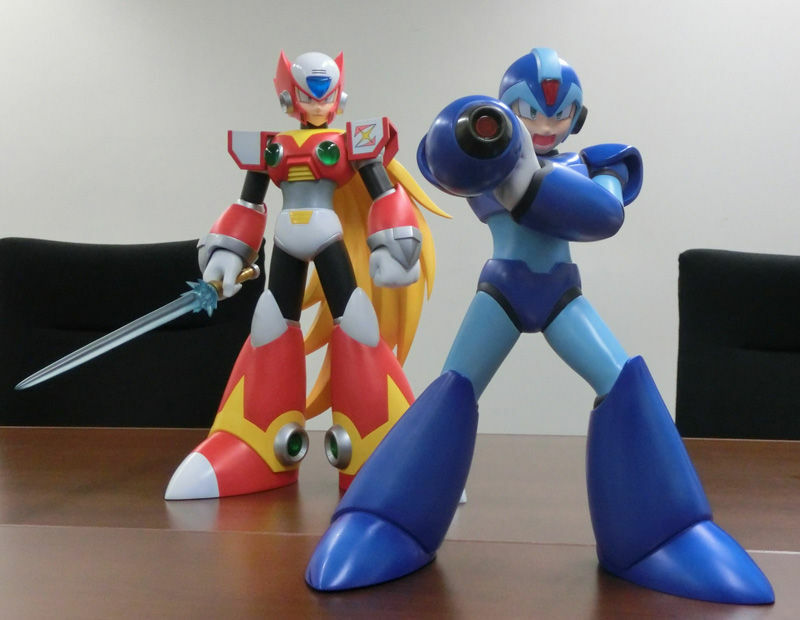 Don't get me wrong Classic and X are cool and I know they are the most popular sides of the Mega Man franchise, but we've had so many versions of these characters already it's starting to get stale, I'd like to see Capcom have Toy makers explore other sides of the franchise, and if their gonna decide to keep doing Classic and X, at least make figures of some Robot Masters or Mavericks, that'd be more exciting than what we've been getting. 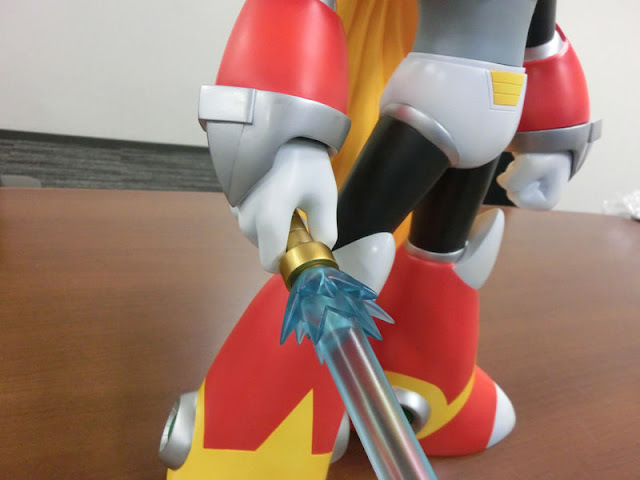 Will he be able to have both the Zero Buster and Z-Saber equipped at the same time? I really hope so. That Zero figure does look ridiculously sick, but like others have said, make some different Mega Man characters for a change. Obviously they have to start with the main characters to gauge interest; if not enough people don't buy them: there's no reason to make others. It would be bad business for a company to start off a toy line with an incidental character. 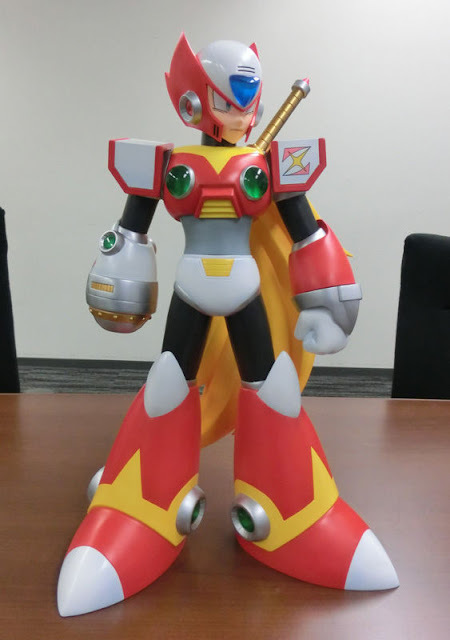 If they just started off with something like an Iris figure: not only is that character only specific to maybe three games (if you count her appearing in the MMX5 flashback), but she's a character which hardly has an hour of time on the screen through all three games combined; they'd be severely limiting potential buyers right out of the gates. X and Zero span most of the X games, so it makes financial sense to spend time developing and manufacturing the most ubiquitous characters as opposed to niche characters, and/or characters from a a small number of (or just one) game(s). This is like asking a toy maker which manufactures Godzilla toys to not release Godzilla first, or a Power Rangers line of toys to not focus on the actual Power Rangers; it's not realistic. I'm pretty sure he meant more characters from other series' entirely like I suggested above. You are right about it being smart to start with main characters to gauge interest and then go from there, but we've seen figures of X, Zero, Mega Man, Roll, MMZ Zero, Bass, and Proto Man, so often for the last couple years, and even worse is that a lot of them aren't even different models like different forms or armors, they're just different variants on the same characters we've had before. I'd like to see more figures based on the other series, at the very least the main characters from each, I'd like to see a new Star Force Mega Man preferably with his SF3 design or both in one considering his design change in that game was minor and therefore could be made into interchangeable parts, A new Mega Man.EXE figure, A new Mega Man Volnutt figure, and/or new Vent/Aile figures and/or Ashe/Gray figures. I think they'd be much more exciting than the typical characters we've been seeing over the last few years. 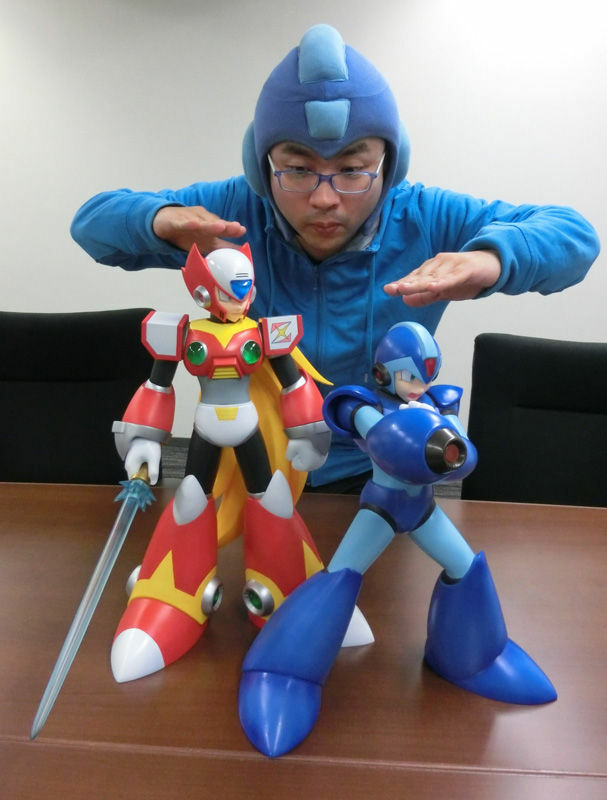 I'm pretty sure SF Mega Man, EXE, and Volnutt, aren't exactly obscure characters to the Mega Man community, so I don't think making new figures for them would be all that risky for toy makers either. Classic Mega Man and X are still the most popular. Legends and EXE were not huge commercial successes, and have not had cross-console releases, which also applies to Star Force; Star Force sold well in Asia on a single console, but still did not eclipse Classic Mega Man or X historically. In fact, I'd be willing to wager that X and Classic combined completely eclipse the popularity of every spin-off you mentioned combined. 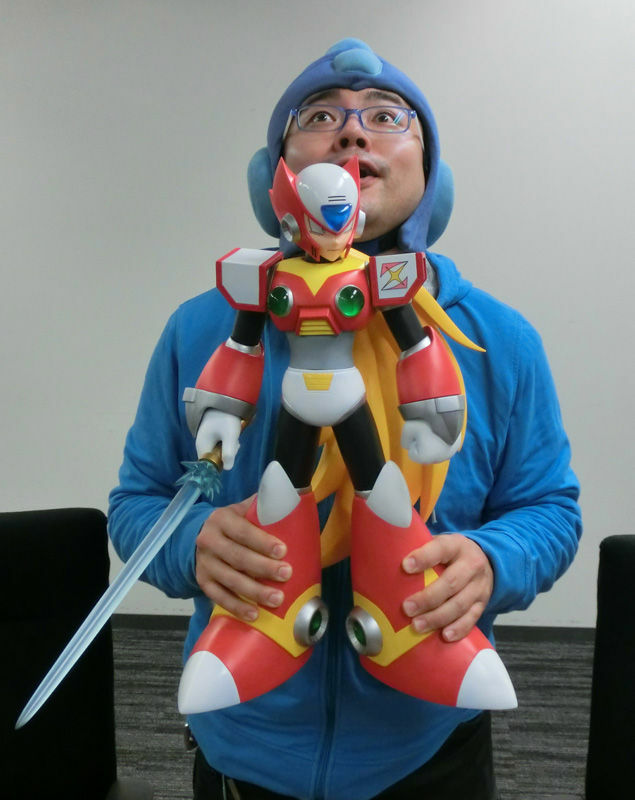 I also think it would be awesome to see some different figures -- I particularly love Zero's design from Mega Man Zero, and am glad that received some love over the last few years -- but characters like Ashe & Vent just aren't going to happen. Even robot masters or mavericks would be great, but again: that's limited appeal right out of the gates. We're lucky to have had Vile and Sigma from Bandai, but I think those didn't sell particularly well when compared to Bandai's vanilla classic and X Mega Man figures, which have been in-and-out of print at least a few times. That first run of Sigma is still easily obtainable (the price has even gone down), and a ubiquitous character like Sigma should not have been a gamble at all; if they haven't had to do another run of those: I'd imagine they'd be sitting even longer on things like bit characters, out-of-costume main/human characters, and mavericks. While Classic Mega Man for sure is the most popular incarnation of the blue bomber, and X is definitely the 2nd most well known, Battle Network was actually a very big success considering the typical sales numbers of the franchise, Battle Network 4 and Battle Network 3 are the 2nd and 3rd highest selling Mega Man games in the franchise only behind MM2. Does Network Transmission the series' side scrolling gamecube spin-off not count as a cross console release? because it definitely exists. Had Battle Network gone on longer and kept it's momentum it might've outsold the X series, maybe even Classic. Mega Man Star Force 1 is the 7th highest selling Mega Man game in the franchise, and Mega Man Legends is the 10th highest seller in the franchise. The fact that the sequels to both of those games don't fall too far behind makes me think the characters featured in them are a little less obscure than some have been made to believe. I'll admit the ZX games didn't have any noteworthy sales for the franchise, but the character designs are still great and I think they have enough appeal to be made into figurines. I understand what you're saying about limited appeal right out of the gate, but I don't feel like Mega Man.EXE, Star Force Mega Man or Mega Man Volnutt should be considered unsafe, Even if not all of the community has played their respective games, I'm pretty sure most of them are aware of who they are and where they come from, and I think their character designs are just attractive to a wider audience to be made into figures, especially since they aren't really that obscure compared to Classic and X they just have more quiet fanbases, They're even featured in Mega Man's final smash in smash bros. which has given them more exposure than ever before. I'd say if there's ever been a time to give them figures now's that time. Also if i could take you on in that bet about popularity I probably would, sales numbers kind of say otherwise. Although you definitely see a lot more of Classic Mega Man's influence on pop culture than the others. @ShaolinTurtle: "Mega Man Legends is the 10th highest seller in the franchise." I'd like to see the source for that, cause I find that hard to believe. Mega Man Battle Network/Rockman.EXE is arguably MORE popular that the X series. Unlike the X series no game from the official full numerical releases ever sold less 300,000 units and they generally had an average of 500,000. EXE also had a T.V series a buttload of cameos and crossovers and a mildly successful son in Mega Man Star Force. The anon above cannot make a reasonable case for EXE or MMSF. But! He can make a case for MML and ZX, MML is easily the worst selling Mega Man franchise outside of ZX, and even then I think a ZX pushed as much as MML (in that it has as many games, cameos etc.) would yield similar results to MML. A large part of why Battle Network was the better seller was arguably Capcom's more aggressive marketing at the time, It didn't get the toys and anime because it sold well, it sold well because of the shows and the toys (At least in large part). 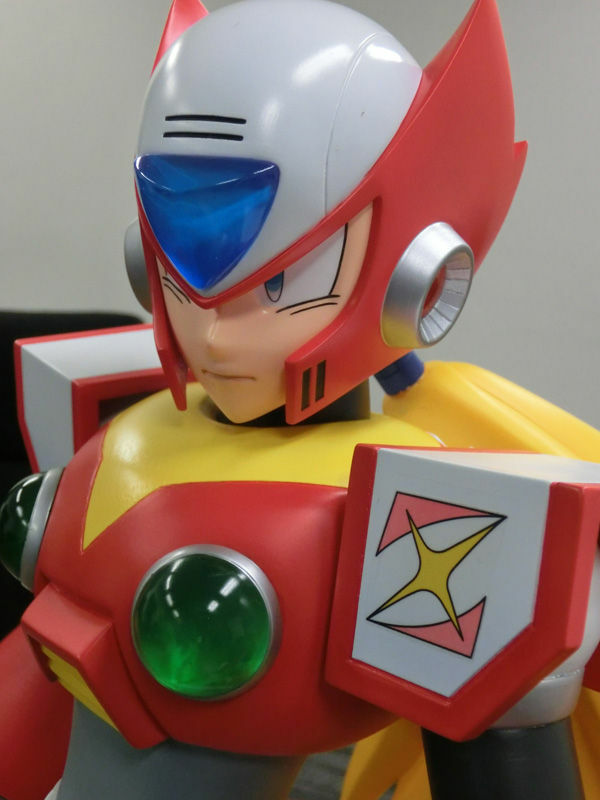 The X series was actually selling pretty well until Capcom fumbled the ball around X6.